When femininity meets technical progress. 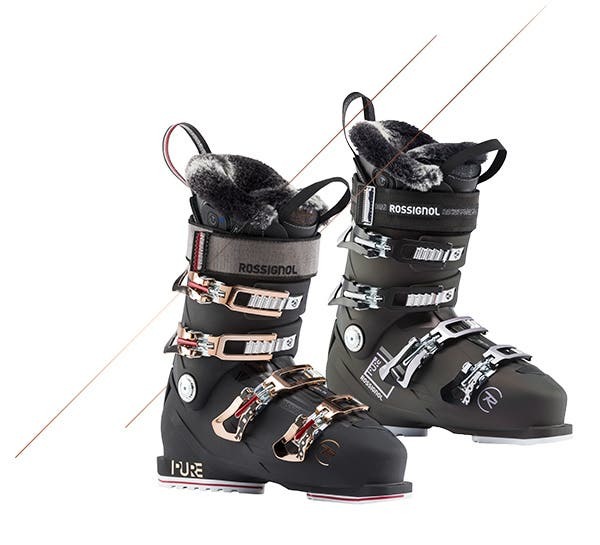 The PURE Ski boot is available in three flexes (98, 100 and 102 mm) to meet the needs of all women skiers, from the advanced to beginner. - This year, the PURE PRO HEAT model features a new heated liner with a Bluetooth function allowing it to be controlled using a smartphone. 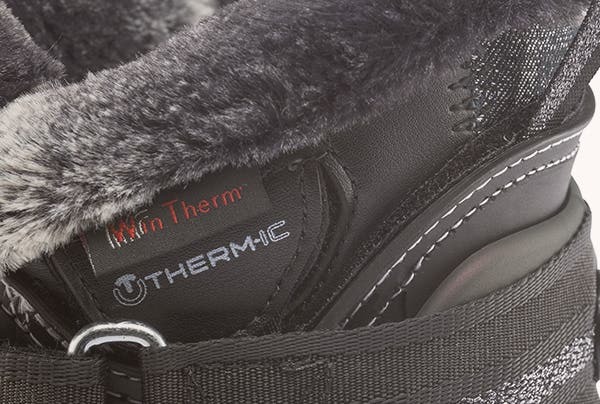 - The PURE HEAT model: A new 102 mm model with Merino wool for thermal insulation. All women’s boots have liners that are specifically designed to suit the female body shape. Women’s liners are cut lower to accommodate differences in calf shape. They also have a more open design for a more comfortable fit. The padding in the upper liner is very flexible to prevent any discomfort around the calf. The lining materials are extremely soft and comfortable, which will allow for all day comfort on the slopes. Dedicated thermal insulation: All our liners have specific thermal insulation. This liner has excellent thermal insulation thanks to the use of MERINO WOOL and WINTHERM®. According to our laboratory based thermal imaging studies, these technical fibres developed by 3M provide the best thermal insulation currently available on the market. 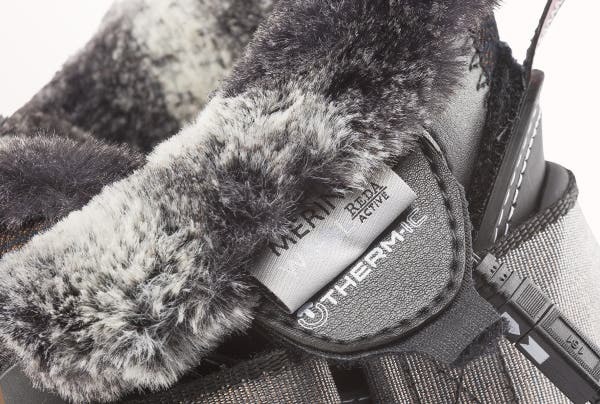 More than a thermal insulator, Merino wool is a natural thermal regulator. Its main attributes include thermal control, soft feel, breathability, odor control and fast drying. Wintherm proved to be an especially effective thermal insulator in our laboratory tests. Positioned at the forefoot, it comprises a sheet of microperforated aluminium that allows air to circulate and a polar fleece material to guarantee warmth and comfort. The PURE PRO HEAT model features a heating system that can be adjusted via Bluetooth using a Thermic® application available to download free of charge here. This application allows you to very easily adjust the temperature setting. Two modes can be used to manage the batteries. - ECO MODE allows you to choose a heating period - for example: 4 minutes heating followed by 2 minutes off. - MOVEMENT MODE: heating starts each time the skier stops.